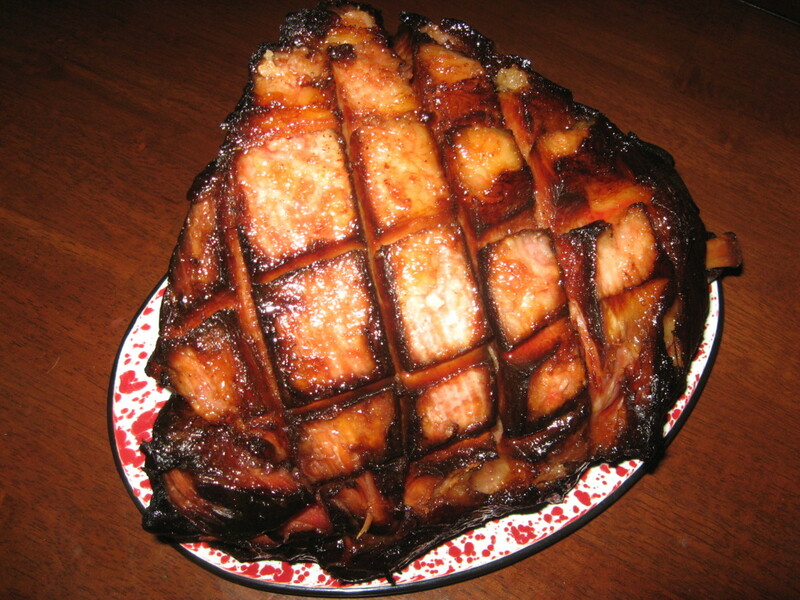 Ham is a very popular ingredient with which to make soup. The bones are boiled long and slow to make a rich stock before any remaining meat is picked off for possible inclusion in the finished soup. 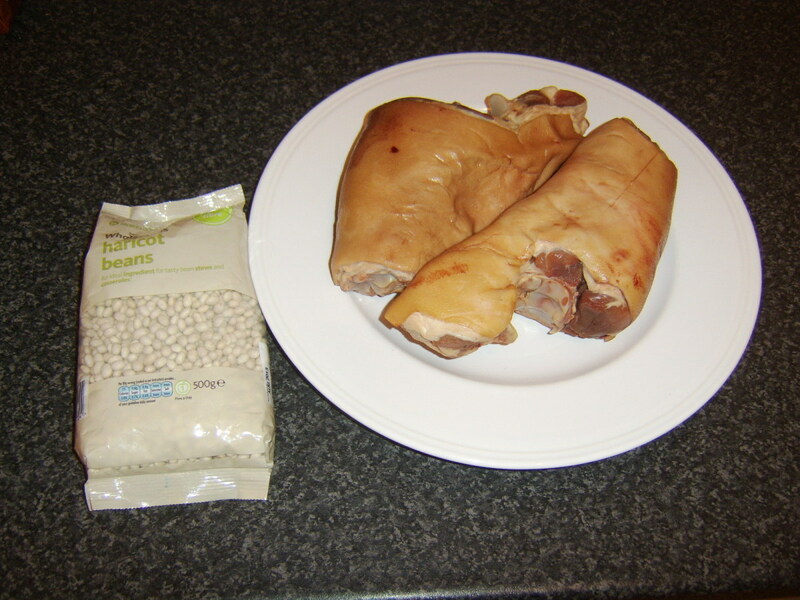 Ham bones for soup are known by a wide variety of names in not only different countries but sometimes in different geographical areas of the same country. Ham hocks, ham haughs and smoked or cured gammon joints are just a sample of the names employed. 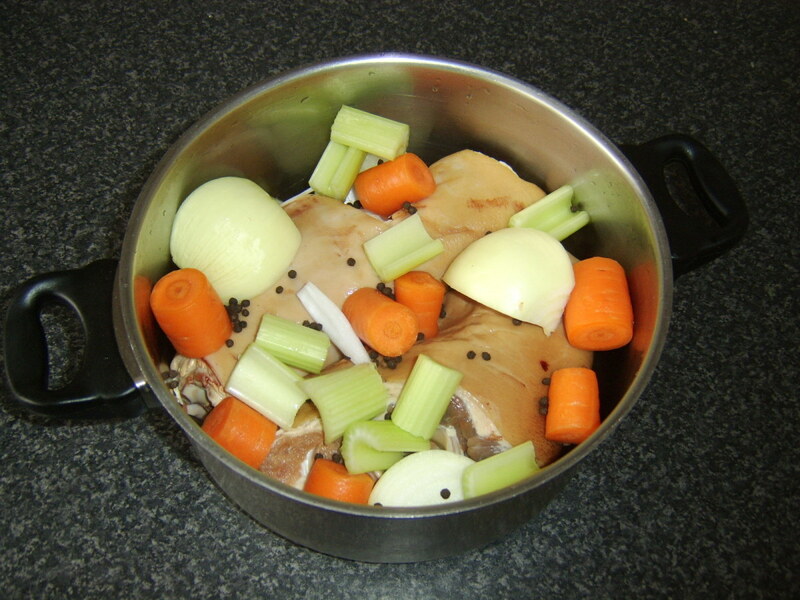 If in any doubt, be sure to ask for advice in-store, as purchasing a joint of pork by mistake will prove disastrous to your soup plans. 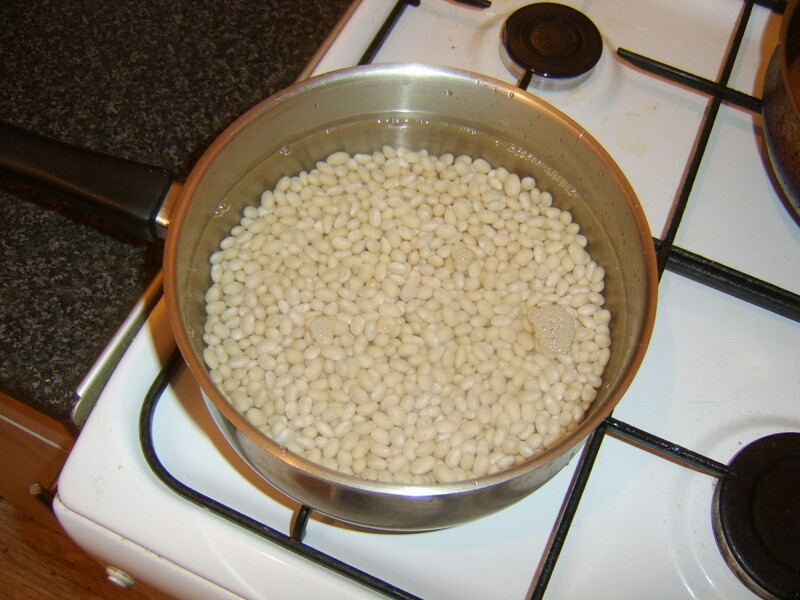 Note as well that navy beans are also widely known as haricot beans. It is not absolutely essential to steep the ham hocks overnight but if you don't, you are risking your finished soup being overly salty. 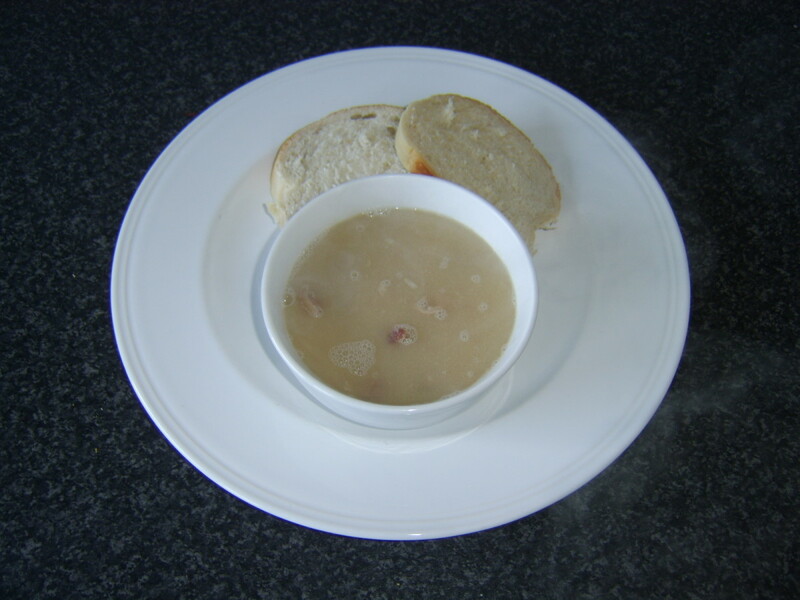 Even though the ham hocks in this recipe were steeped, the soup still did not require the addition of further salt. 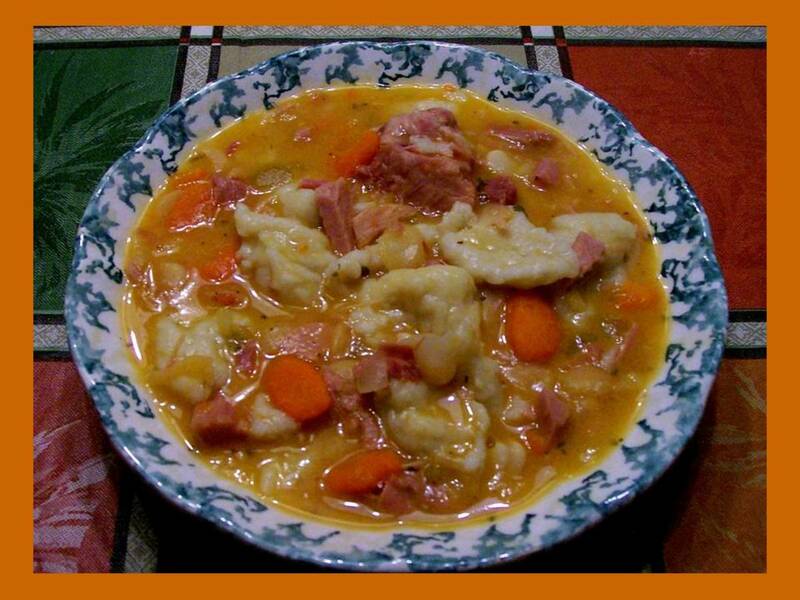 Put the ham hocks in to a large bowl or even your soup pot. Pour in enough cold water to ensure they are comfortably covered. Put the bowl or pot in to the bottom of your fridge and leave overnight. 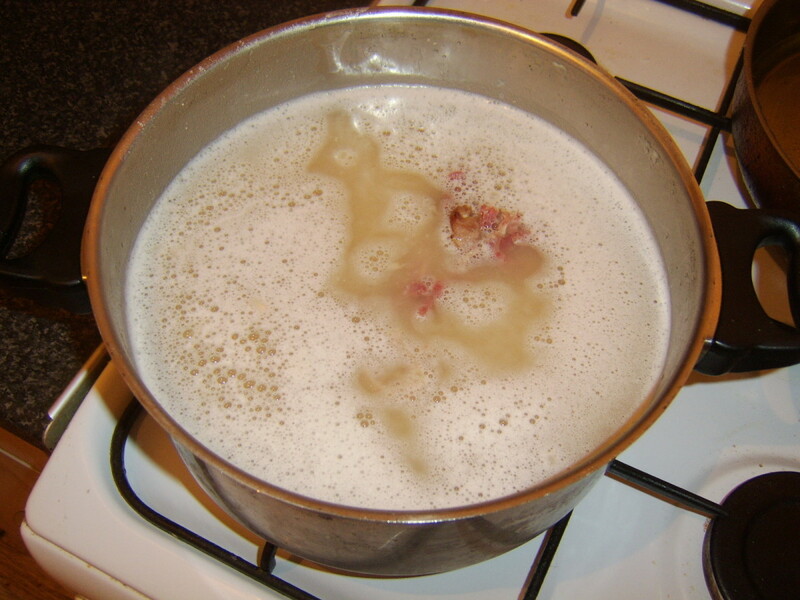 The dried navy beans require to be steeped in cold water for at least twelve hours so steeping them overnight, just like the ham hocks, is a good idea. 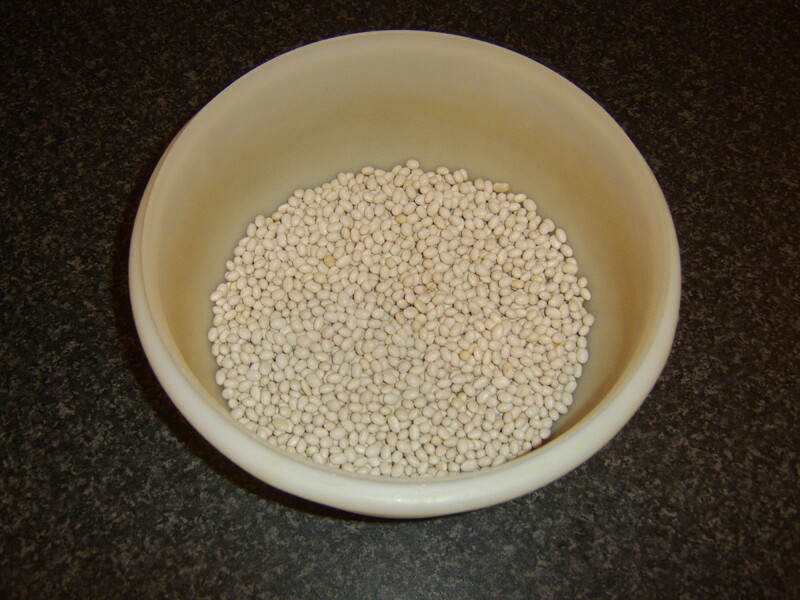 Put them in to a bowl with plenty of cold water and cover. 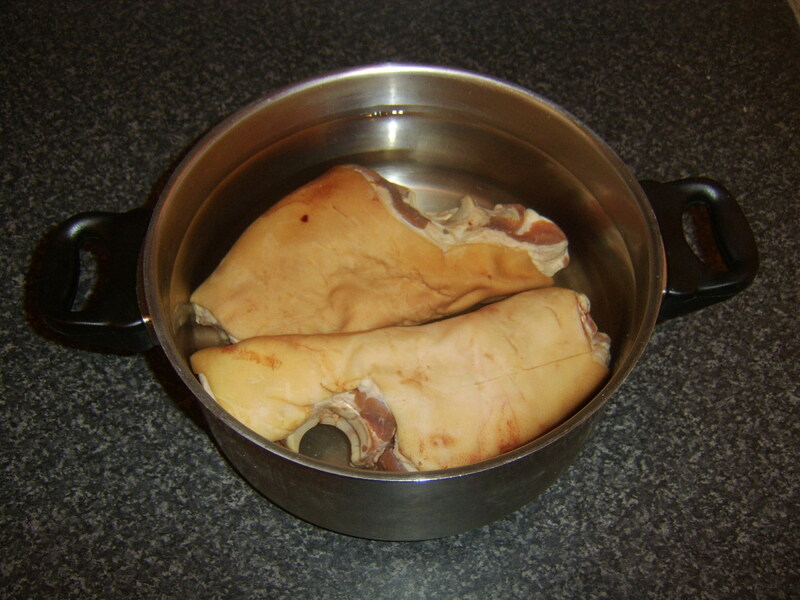 The following day, drain the ham hocks and lay them in a large soup or stock pot. Add the chopped vegetables, black peppercorns and six pints of cold water. Put the pot on to a high heat until the water begins to boil. 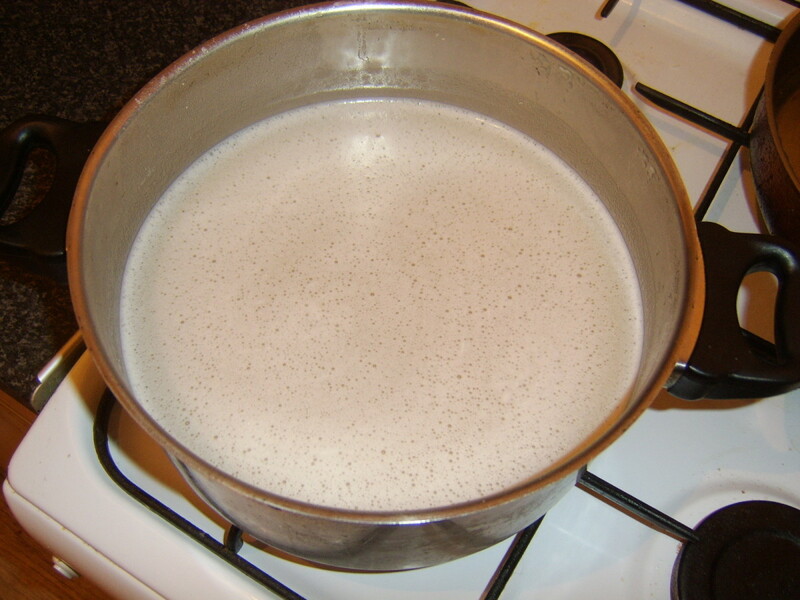 Put the lid on the pot and reduce the heat to achieve a gentle simmer for two hours. Most of the vegetables after this time will be floating on top of the water. Carefully lift them away with a large slotted spoon and discard. 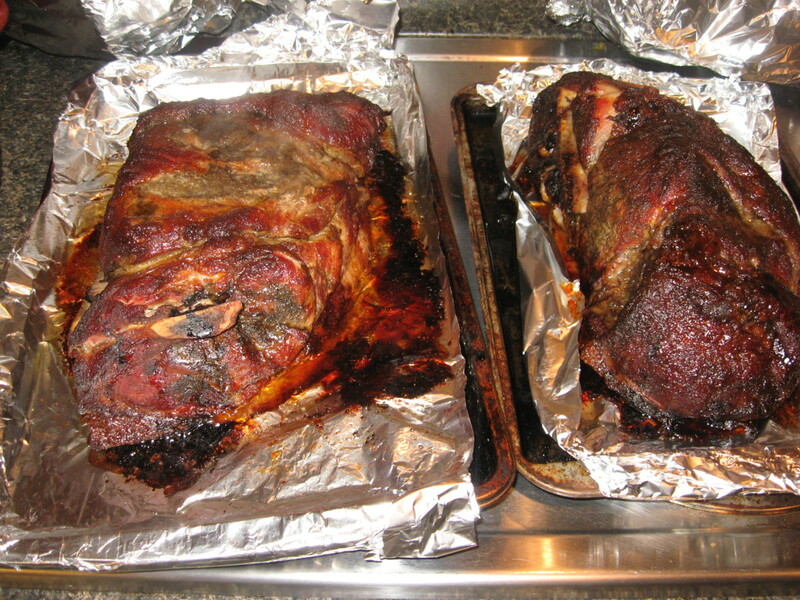 Take a carving fork and the slotted spoon and carefully lift the ham hocks one at a time to a plate. Cover and leave to cool. Put the lid back on the pot and leave for about an hour to partially cool. 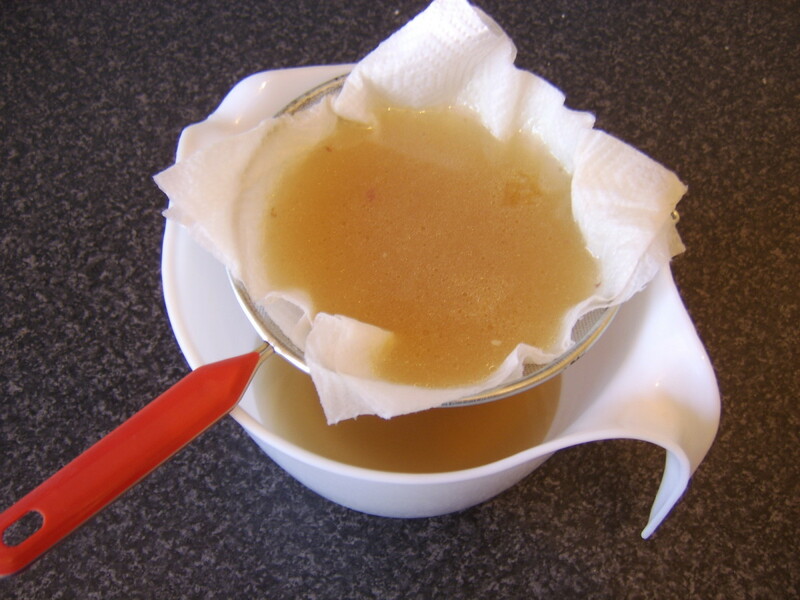 Line a large sieve with a couple of sheets of kitchen paper and suspend over a large bowl or basin. Pour the stock through it in stages. You will be left with perfect, pure ham stock. 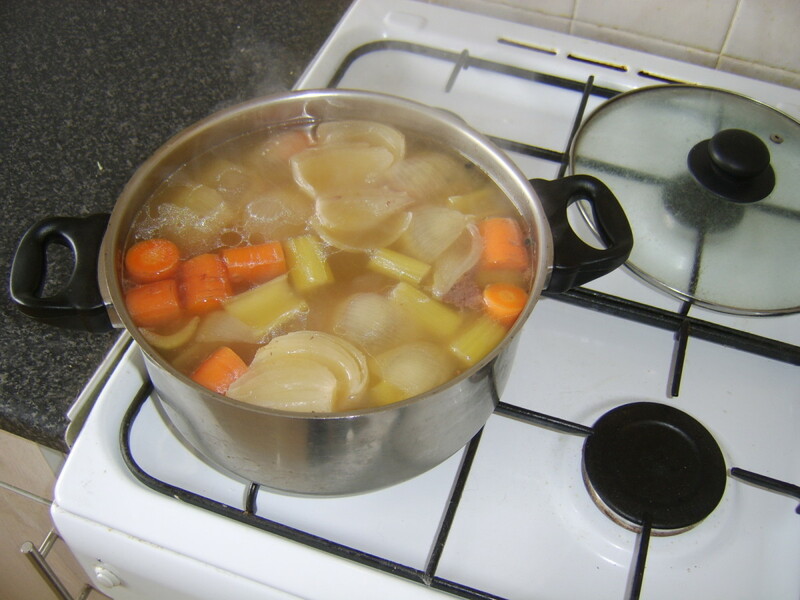 Wash the soup pot and pour the strained stock back in to it. Use a ladle to remove approximately half the navy beans from the water (no need to be too fastidious) and drain them through a colander. Put the drained beans in to the stock and bring to a rolling boil for ten minutes. Reduce the heat to achieve a simmer, put the lid on the pot and cook for one hour. Switch the heat off under the soup pot and leave to cool for about an hour. 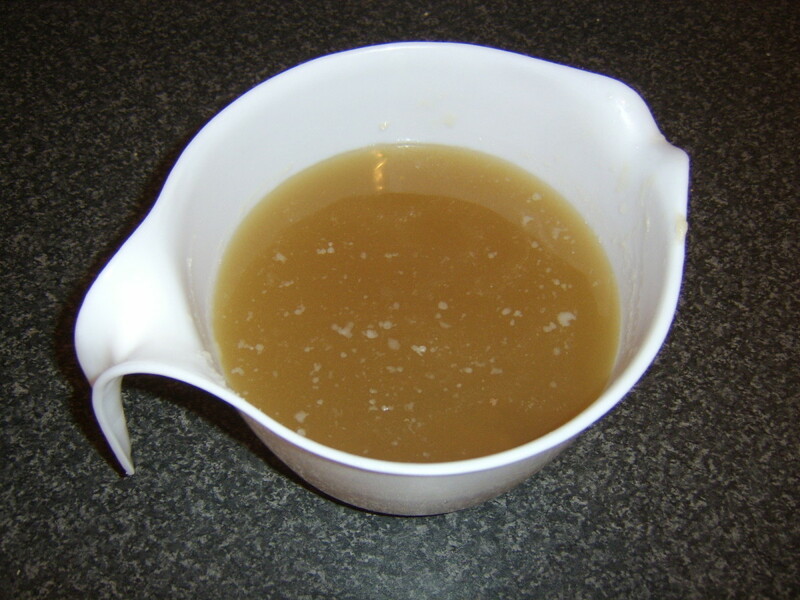 Although technically the soup could be blended at this stage, blending very hot liquids can cause all sorts of problems, including causing the lid to fly off your food processor. This could cause scalding but will certainly at least create a considerable mess. It is much safer to leave it to partially cool. While the soup base is cooling, drain the remainder of the navy beans and put them in to a separate large pot with enough cold water to ensure they are comfortably covered. Again, bring to a rolling boil for ten minutes then reduce the heat, cover and simmer for one hour. 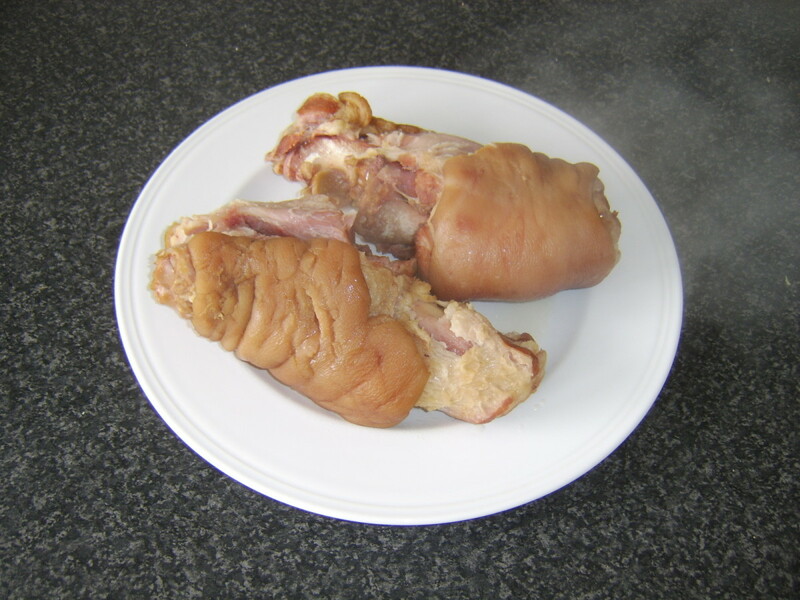 Carefully pick the meat from the ham hocks and break in to small pieces for their eventual return to the soup. The partially cooled stock and beans will need to be blended in stages. 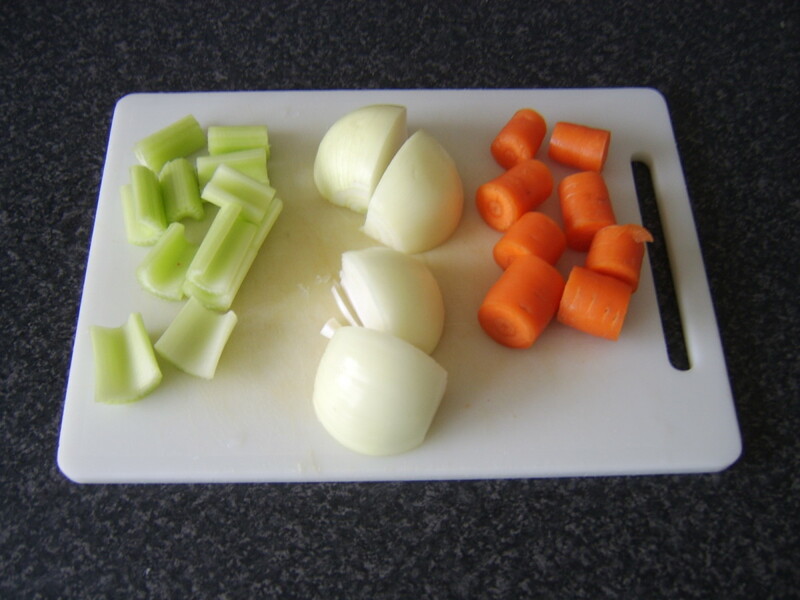 Make sure it is perfectly smooth in each instance before pouring it in to a large bowl. Return the blended liquid to the soup pot. Drain the navy beans that were cooking in water and add them to the soup along with the ham. 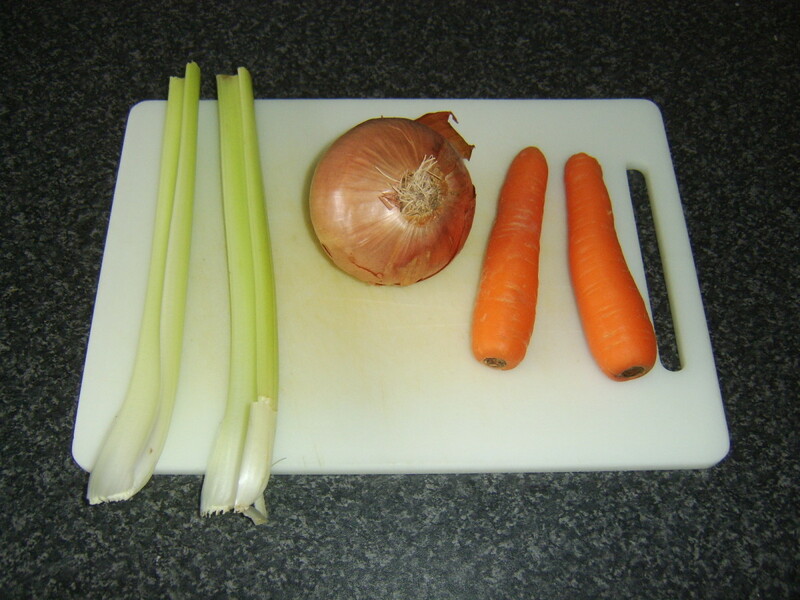 Stir the soup well and bring back to a simmer for ten minutes to ensure everything is heated through. 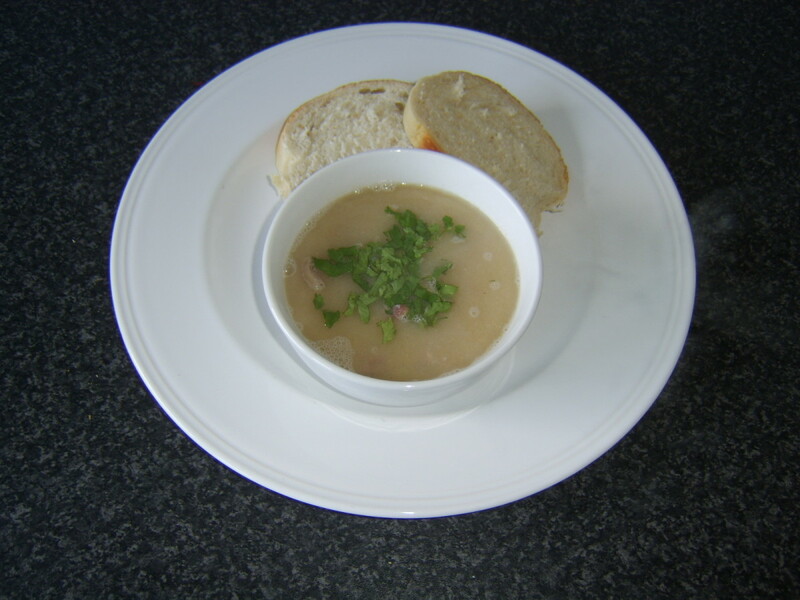 Ladle the soup in to bowls, garnish with the parsley and serve with fresh bread. Can I Use Canned Navy Beans for Soup? In theory, it is possible to use canned navy beans in this soup, a practice which eliminates the need for overnight steeping and significantly reduces the cooking time. 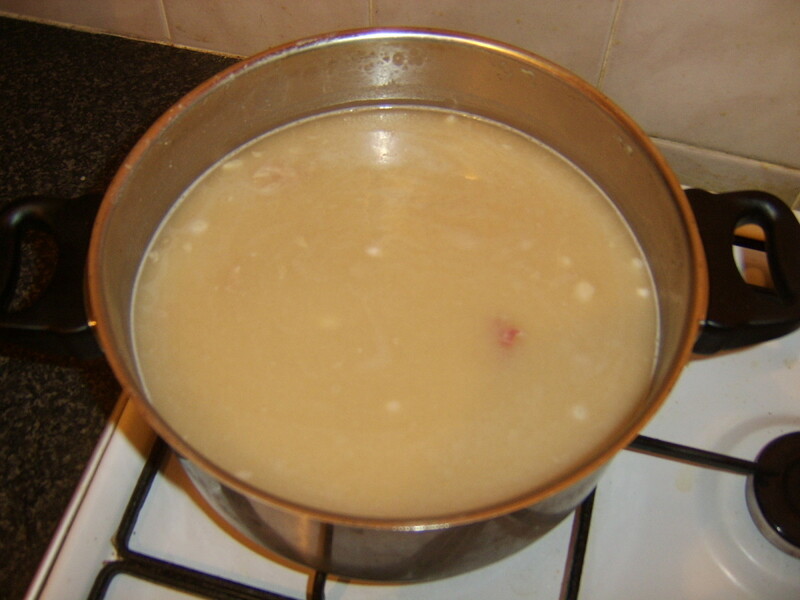 The downside is that cooking the beans slowly in the ham stock ensures a greater infusion of flavour and this cannot be replicated if using canned beans. 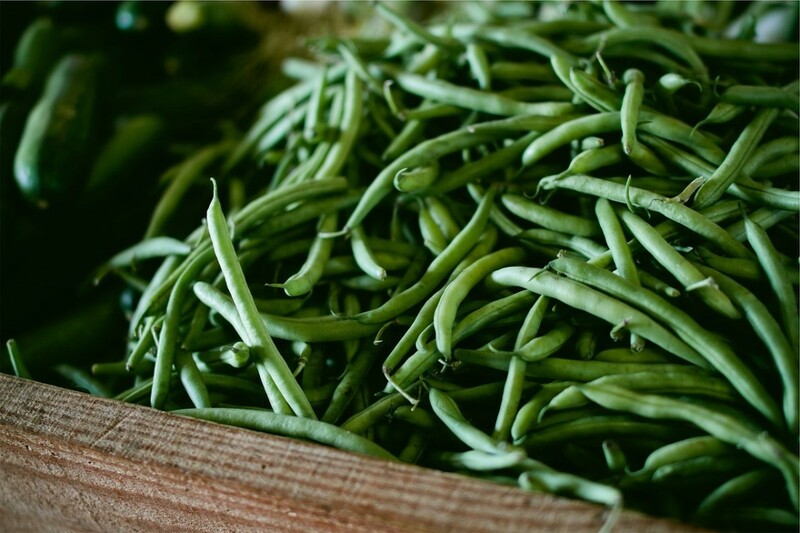 If using canned navy beans, make sure you drain them and rinse them well in cold water before use. Hi, KoffeeKlatch Gals and thank you very much. I wanted to try to make this soup simple yet a little bit different and I was delighted with the results. I hope you enjoy it if you give it a go. I love Navy Bean Soup. Your recipe looks great. I will be making it next weekend. Yum. Up, and useful. Too bad they don't have a 'delicious' button. Hi, randomcreative. You are so right - soup is the order of the day in winter! :) Thanks for your visit and comment. 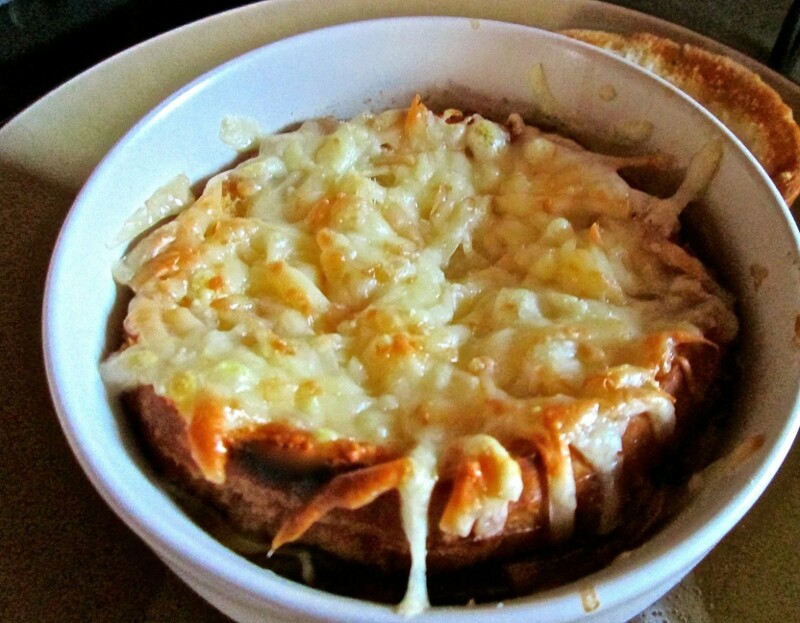 What a great recipe for cooler weather! A comforting soup always hits the spot. Hi, CarNooobz and thanks. Whatever beans your mother-in-law uses, it's good that you enjoy her soup. There are quite a few possibilities though it may well be navy beans. HI, aa lite. Yes, pretty cold up here in Scotland right now as well. Hi, Dannell. Thanks for visiting and commenting and I hope you like the idea if you give it a try. Blending half the beans was an experiment but I was more than happy with the result. That looks delicious. 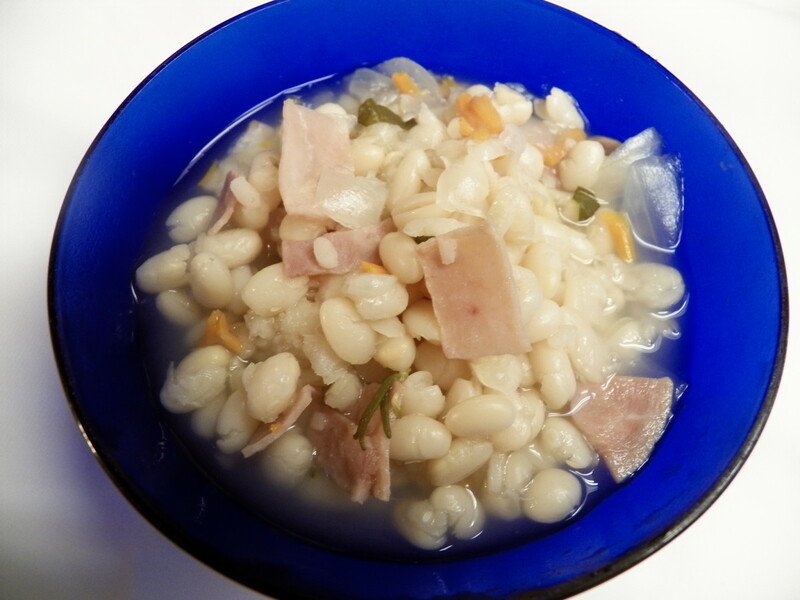 My mother in law makes a soup that looks just like that with ham and beans. I dunno if she uses navy beans or something else, though. This soup sounds so fantastic given the weather outside right now! In Poland ham hock is basically a national dish. The best part of it is the thick, fatty, gelatinous skin consumed with potatoes, sauerkraut and of course vodka. It is a little bit disgusting (the gelatinous skin) but is actually delicious. 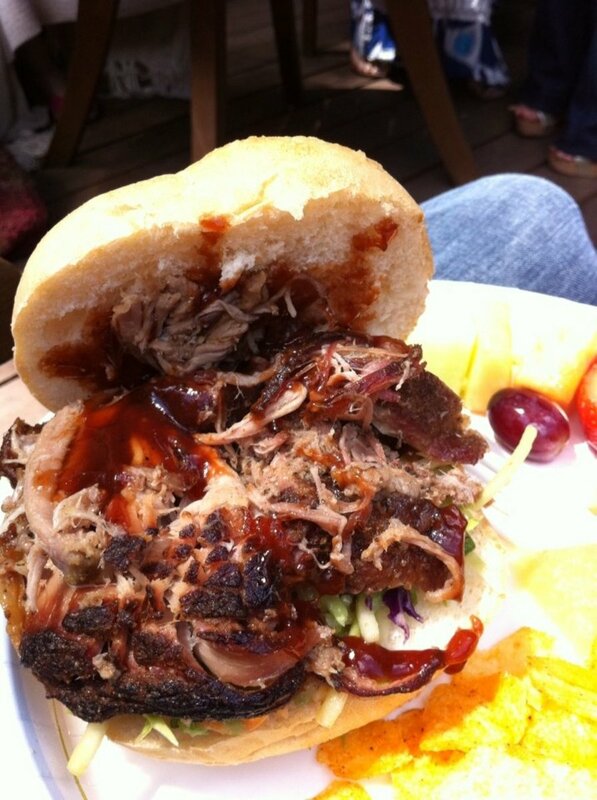 Although it probably is a heart attack on a plate. 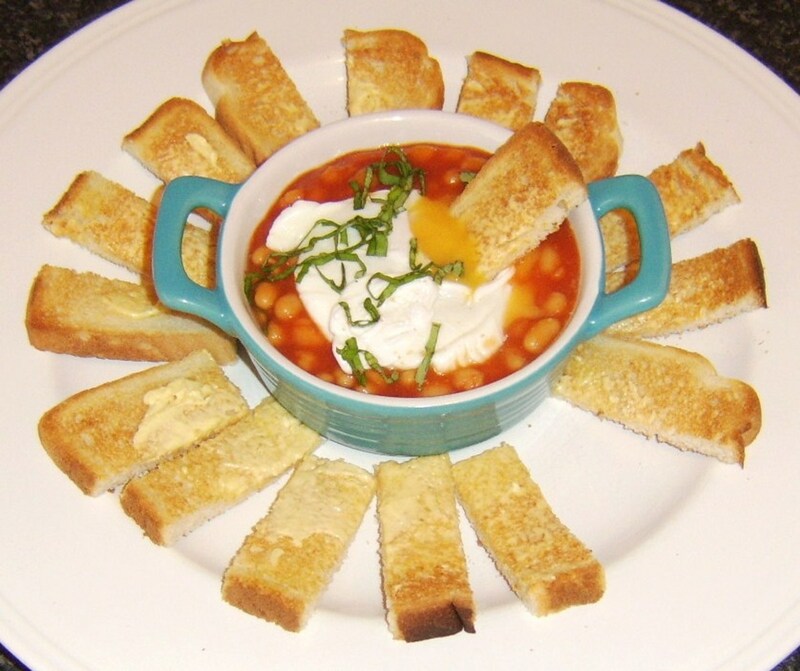 I haven't had Navy Bean soup in a very long time, I may try this recipe. It sounds very good!